Sometimes it is the little stories about bike-sharing that really demonstrates how transformational and important it is in peoples lives. Since New York City began Citi Bike at the end of May and Chicago's roll out Divvy today, there has been one bike-share program starting almost every two days throughout the world. 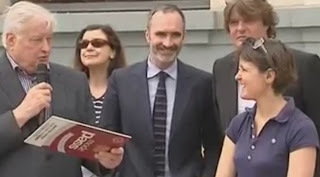 The one that caught my attention, happened yesterday in Clermont-Ferrand, a small city of 150,000 people near the center of France. The very first person to become a member of the city's new bike-share program, C.vélo, was an unassuming woman named Patricia. Since she moved to Clermont-Ferrand, she has waited patiently hoping for bike-share to begin there. She knew it would make her life easier. How did she know? 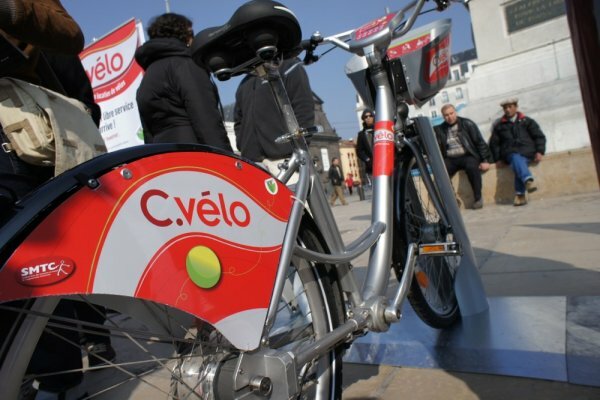 She was the very first subscriber to Vélib' in 2007 according to the Vélib' customer service center in Paris! Take heart all of you around the world. If you are patient and wish hard enough bike-sharing will make it to your city or town! This is the #1 resource for bike-sharing systems world wide. It shows new systems coming online which might not be covered in The Bike-sharing Blog. With constant updates, it is the best way to keep up with the ever changing bike-sharing world. Over the past couple of years I've called the Internal Revenue Service (IRS) multiple times about whether laws, such as the Bicycle Commuter Act and Commuter Choice Act, accommodate bike-sharing. The first time I was told "Yes, they do apply". A second call to confirm my disbelief brought, "No, they don't." A third call simply confirmed the IRS was as confused as I. They told me that I'd need to write a formal letter to the IRS requesting a determination for a special employer and a specific bike-sharing service, and pay a large fee for their research. Their response would only apply to my specific question and not to the hundreds of thousands of other employers who could possibly benefit from the same answer. Crazy, ain't it? This bill makes so much more sense and it does need to be written into law with the word "bike-sharing" specifically called out so as there won't be any confusion... other than the fact that the term isn't listed yet in any dictionary that I've seen. 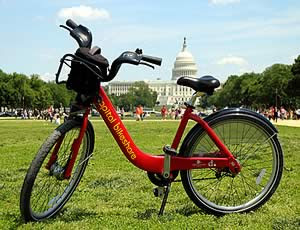 As long as Congress is using The Bike-sharing Blog's definition on the top right corner of the website, we'll be set! For The Bike-sharing Blog's U.S. readers, write to your Congressperson asking them to support H.R. 2288: Commuter Parity Act of 2013. Making bike-share membership and usage fees pre-tax is a great way to remove another hurdle and make bike-sharing that much more useful and economical to the public. 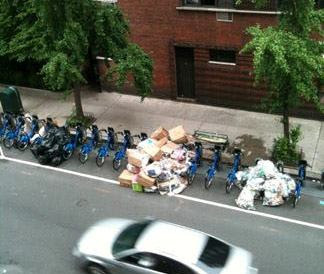 When it comes to trash talking about New York's Citi Bike, this is a glitch in the system that even the Wall Street Journal Editorial Board's Dorothy Rabinowiz didn't throw out in her opinionated tirade! See O'Brien new Global Bike Share Map. It shows real time bike usage in 84 Cities! The American satirist Jon Stewart recently did a piece on New York City's CitiBike on The Daily Show. This tongue-in-check segment pokes fun at the new service, as well as both its supporters and detractors. It's a good watch.